Career Personality Test, The 4 Questions that you Must Know! You are here: Home / About My CAREER / Career Personality Test, The 4 Questions that you Must Know! Career Personality Test, More about it! 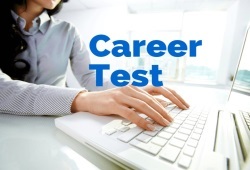 The online free Career Personality Test or Quiz has been in favor of many individuals who want to discover what career is right for their personalities. So, whenever you feel unsure about what job to pursue, just find out the answer via the free test. Then, you can determine the best-suited career with confidence. 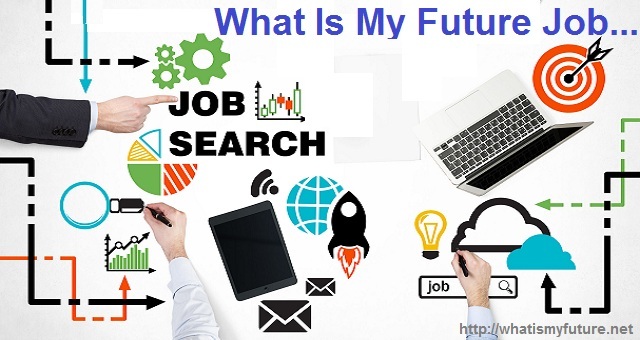 Let’s figure out 4 common questions so that you will understand more about the career quiz. We want to point out the four powerful questions in a Career Personality Quiz that we find recently. After answering such four queries, we get the relevant answers. So, what are they? 1. Where can you get your energy? The answer should be either extrovert or introvert. The extroverts tend to have high energy, talk more often than listening, think out loud, like to be around people, perfect public roles, and be enthusiastic. On the other hand, the introverts has the quiet energy. They listen more often than talking, think inside their heads, feel comfortable when alone, etc. Based on your preferences, pick up one answer. We chose Introvert. 2. What kind of info do you often keep in mind? There are two kind of Information, Sensor and Intuitive! The sensor pays attention to the fact and details whereas the Intuitive is keener on the connections between the facts as well as the meanings of the information. Thus, the Sensor is the practical and literal worker while the Intuitive is the imaginative and theoretical employer. 3. How can you finish a decision? The Thinker decides predominantly based on the objective and logical senses. Differently, the Feeler stresses their personal values and feelings. Thus, the Thinker is persuaded by the logical explanation whereas the Feeler prefers searching for harmony. In this question, we chose Thinker. 4. What kind of workplace makes you comfortable? The Judger appreciates the structured and ordered working environment where they can have things settled logically. In the different sense, the Perceiver prefers experiencing the world as much as they can so that they have their options open and most comfortable. In a word, the Judger is likely to be productive and organized while the Perceiver tends to be flexible and curious. If you follow our answers to the four powerful questions above, you will end up with the result of perfectionists who do not particularly be bothered by the others’ criticism. We pursue excellence in everything we do to reach the goals when being writer, researcher, or manager. 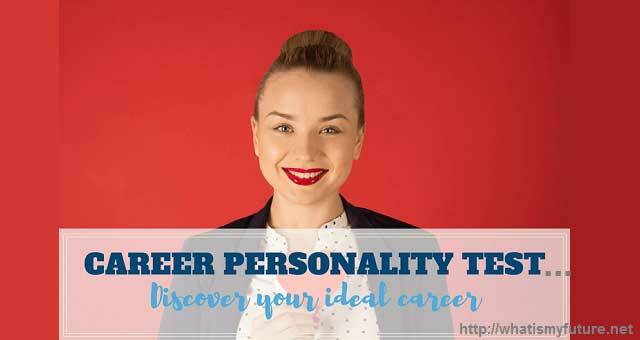 Check out your result by taking Career Personality Test at your earliest convenience! Career Personality Test, Related Video! With courtesy of Youtube.com, we on WhatIsMyFuture.net may present our audience this video: Myers-Briggs Personality Test? Published on Mar.20, 2013, under category How to & Style; and Standard YouTube License; The subject: Myers-Briggs Personality Test? Career Personality Test, Our Conclusion! If you have well read and understood our post “Career Personality Test, The 4 Questions that you Must Know!” it is know up to you to seeking around to find a appropriate website who has a “Free Career Personality Test” system active and test it out! If there are some problems during the test execution please come back to us and explain what you don’t understand and we will try to help you. Fill your problem clearly in the Comment Box and after receiving we will come back to you within the 24h with some clarity on your problem! Anyhow we thank you for your visit on our website and we hope to see you back soon. Career Test Free, Learn these 6 Points Before You Need Them!